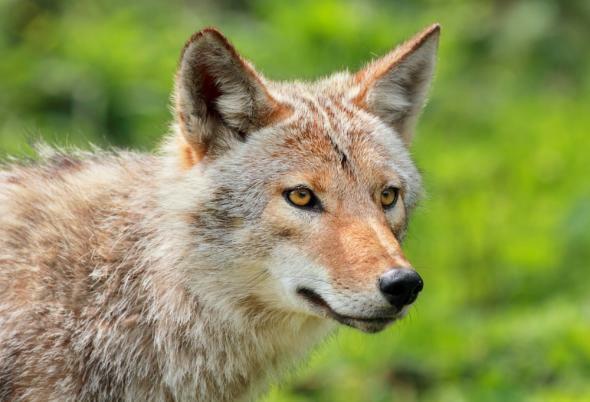 Myrtle Beach Airport coyote: Could it contend for the Republican nomination? Not the airport coyote, probably. Update, 11:25 p.m.: The coyote has been safely removed from the airport, police say. At about 10:30 a.m. a coyote found its way into MB Int'l Airport Terminal. Animal Control caught him and DNR took custody.No bites-all safe. Original post, 11:13 a.m.: Big coyote news out of Myrtle Beach, South Carolina! 2. No one has been harmed by it.